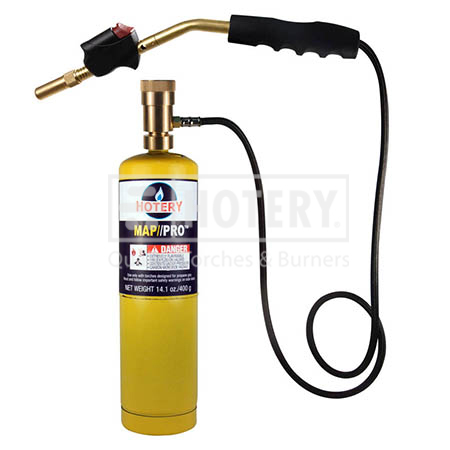 HOTERY PRODUCTS CORP. based manufacturer, supplier and exporter of high quality Gas Welding Torch. We are an export-oriented enterprise which integrates design, development, production and service. Due to low labour costs and highly skilled work force & state of the art production facility, we are able to manufacture high quality products at lowest prices and provide value for money. We sincerely welcome all friends home and abroad to contact us,either by establishing business relationships or to work together to obtain mutual benefits. Product description: Welding torch with hose. 1. Brass burner tip for durability. 2. Self-ignition for instant flame. 3. Anti-Flare System ensures safe and efficient flame. 4. Adjustable flame control knob for ease in switching between different applications. 6. The wire stand could clip on "belt". and thoughtful service. If you want to learn more about what we can do for you, contact us at any time, we look forward to establishing a good and long-term business relationship with you.